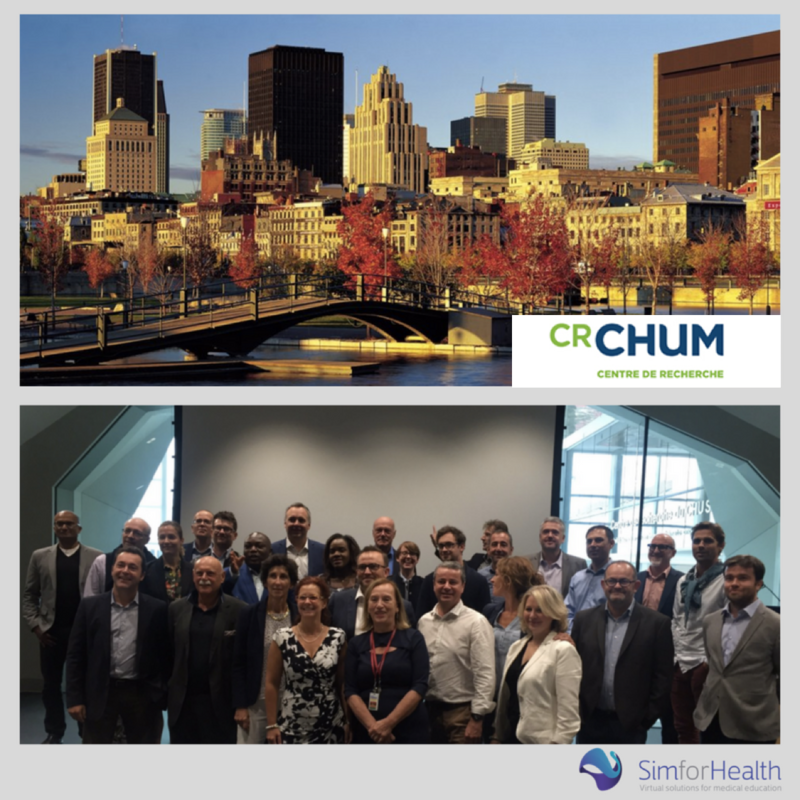 Recently in Quebec with the “E-health” delegation of the New Aquitaine Region, SimforHealth was able to materialize its partnership with the CHUM Research Center (Research Center of the University Hospital of Montreal). The CR CHUM is the largest research center in biomedical sciences and healthcare at the Université de Montréal, and one of Canada’s foremost centers. This partnership supports the CR CHUM’s development project for the implementation and evaluation of nursing education for people living with HIV, through a virtual clinical case. This pilot clinical case will allow Canadian nurses, through our MedicActiV platform, to acquire skills, particularly in motivational interviewing techniques, prior to the monitoring of patients’ adherence to antiretroviral therapy. Scenarios, documentations, and learning objectives will be determined and co-constructed by physicians, nurses and a patient-partner before being developed by SimforHealth’s technical and project teams. As an international platform, MedicActiV is Canada’s “first virtual center for digital simulation in healthcare”. We are very proud of this new collaboration, which reflects the international impact of our solutions.